My kids don’t lack for much in their lives. We have more than enough water, food, clothes, toys and the list could go on and on. We are fortunate and blessed. There are many in the US and the world who are not. I want my children to grow up to be kind adults and adults who care for others in need around them. Trying to start getting them involved at the ages of five and eight has been a challenge – some organizations can’t accommodated young children and others aren’t a good fit. All I know is I don’t want my kids to grow up entitled and not contributing in a positive way to the world around them and particularly to people in need. So what’s a Mom to do? Well, thankfully for those of us in Cincinnati, we have a wonderful organization called Kids Against Hunger. Our local Kids Against Hunger is part of a national organization and has recently moved into their new location in Milford (848 Molly Lane – the old Thriftway building). What they do is truly amazing! Volunteers from all over Cincinnati come together (normally on a Saturday) and within a two hour period, they can make enough food packets to feed a child for a year. A whole year. Isn’t that cool? So what’s it all about? They call the process a “factory” and it consists of teams of ten volunteers (up to a maximum number of 250 volunteers during each session) who form an assembly line. Together, the team makes 13 ounce packets of what’s referred to as a “food product”. What’s in the food packets? The team from Kids Against Hunger, Cargill, Pillsbury, General Mills, and Archer Daniels Midland successfully developed a food mixture comprised of fortified soybean, essential vitamins & minerals, vegetables, and rice. Our food packet can reverse the starvation process, help restore health, and improve a child’s mental and physical alertness. Multiple Servings Per Packet: One packet provides a child with six one-cup servings. Protein Rich: Each packet contains six 11 gram servings of protein. Vitamin & Mineral Fortified: Each serving contains 21 essential vitamins & minerals for a growing body. Global Acceptance: Rice, a globally recognized staple, is used as the base. Simple & Safe to Prepare: Boil packet contents in water for twenty minutes. Volunteers from age 3 and up are welcome and encouraged to participate. You can sign up your school, church, club, friends, etc etc etc. You can even schedule a birthday party session and have the party goers have fun while doing something for others. Who gets the food packets? This is what I think is really great – some of the food is distributed locally to children in need as well as internationally. Kids Against Hunger strives to ensure any and all food is properly distributed to the who it was intended for – the children. Normally, the factory is open every other Saturday but if you contact them, other arrangements can be made. Volunteers go through a half hour orientation to learn more about the organization and to learn how they’re going to make the food packets. While researching this, I had the pleasure of speaking with Bob Mayer who’s with Kids Against Hunger. He talked to me about the need for fund raising. All of the ingredients used in the packets either has to be bought or donated. Each packet costs 25 cents to make and Kids Against Hunger states that $10 will feed a child for a month (this also includes the cost of shipping the food). We talked about how some groups will actually plan a fund raiser, raise money and then go to the factory as a group and make the food packets their group paid for. Personally, I’d love to work with my kids to see what we can do within our sphere of influence to possibly do a fund raiser and pack within the next year. 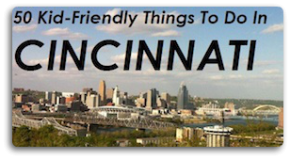 Hmmmm… maybe we could have a Family Friendly Cincinnati event. I’m just throwing that out there because, seriously, the need is great (30,000 children die of starvation each and every day) and the possibilities are endless. If you’re still not sure if this is the organization for you and your family to help volunteer either time or money to, take a few minutes and watch this GrandOpening. It’s very informative and should help answer any questions that I wasn’t able to address here. Have you volunteered at Kids Against Hunger? Share your experiences with us in the comment section. I’d like to thank the Kids Against Hunger website for specific information about their program and the food packets. If you like this post, be sure to check our my ramblings on my personal blog Princess Poodle Puss. The problem here: PDE6 also plays an important role in the treatment of erectile dysfunction treatment. but before you do, throw your heart into it. Great organization. A group of 5th graders and their families went during Spring Break. The kids had a blast. Easy work to do, but so rewarding. Don’t forget to write love notes on the boxes. Younger kids can help decorating the boxes. Two thumbs up. Kids Against Hunger is a great organization and way to volunteer your time and energy. By including your kids you are teaching them to be stewards of society, great post!